Egypt’s stock market index, EGX 30 climbed 1.02 percent this week, closing at 12,904 points on Thursday. Market capitalisation also posted weekly gains worth 11.7 billion Egyptian pounds ($647.8 million), shutting at 647.541 billion pounds during the closing session of Thursday, compared to 635.839 billion pounds at the end of a week earlier. Mid-and small-cap index, EGX70 also surged by 2.65 percent in a week closing at 532 points during Thursday’s session. 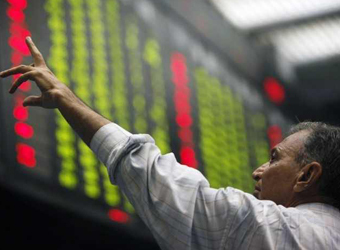 Price index, EGX 100 climbed 2.04 percent finishing at 1260 points during Thursday’s session. EGX 20 hiked 0.94 percent, ending at 12,304 points. During the week, the trading volume hit around 1.184 billion securities, compared to 1.653 billion. For the traded value, it reached 6.2 billion pounds against 12.5 billion pounds a week earlier.